It heaving good future with all Gen specification. It's sound quality of Default Earph. Is very bad when its full sound..is not it? canvas user, 31 Mar 2014no heating problem..it just gets warm above the camera while playing games which is usual in o... moreThanks bro for your reply..
Now i will buy this one without any hazitation.. I bought this phone four days back, I really like it.. 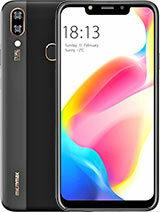 It has got amazing features for the price in question, But lately I have been facing a problem, Insufficient storage space, inspite of 4 GB internal sd card and 4GB external sd card space, minor problem. raj, 30 Mar 2014hello friends... I want to know that is there any heating issu with canvas 2.2 while browsing... moreno heating problem..it just gets warm above the camera while playing games which is usual in other phones also...JUST WARM nothing else...gaming performance is great..it ran all the high end gameloft games!!! 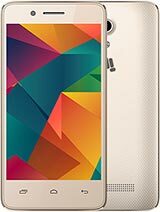 i m using this superb white phone since 2 month no problem at all blindly go for it ..awesome features n quality... the people's whoes are facing problem most of dose are bought from flipcart.com ..so dnt buy online purchase from official local store... its good phone. It is a Great piece..
Easy to Hold ane light Weight..
Just 1 thing I Doesn't like that is Front Camera..It's bad.. I'll give 9.75 out of 10. 4) Some one say that it has a issu of sensor in sunny days , is it right or wrong. waiting to buy this phone .this phone has more features which galaxy grand have. 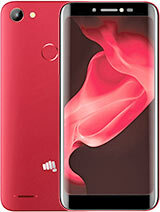 so for wasting 40,000 you can buy this for 10,000. micromax is better than samsung. 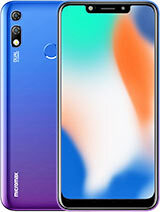 this is the best phone in its price . Every game like dark knight rises,NFS mW,GTA sa,Thor 2 runs smoothly .HD 1080p videos run without any problem. Battery backup is good. Easily connects to computer . Sensor smart gestures are superb. 2Mp camera is rare at this price .heartily thanks to micromax. I want to know that is there any heating issu with canvas 2.2 while browsing or gaming...bcz even grand 2 heats a lot while playing games..so A114 users plz give a feedback of my quertion...then i will buy this one..plz plz plz reply..
Tommorrow I brought this one..
repair it. And also I've to be, without a cell for all these days because i didn't buy any backup phone and i have none. 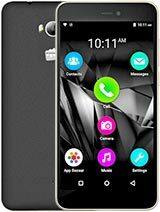 please do not buy canvas 2.2 nor any micromax phone . they have the worst service and worst phones . the phone only works good for 2 months and then it has several problems . do not trust micromax . i have faced such problems the phone is almost dead in 2 moths after the purchase . they dont even give replacement . is the incoming call voice realy clear & loud?